The virtual exhibition “The City’s Currents: A History of Water in 20th-Century Bogotá” is a collaboration of the Rachel Carson Center for Environment and Society and the Línea de Historia Ambiental, the Environmental History Research Group of the Department of History at the Universidad Nacional de Colombia in Bogotá. The exhibition was researched and authored by historians Stefania Gallini, Laura Felacio, Angélica Agredo, and Stephanie Garcés. However, it would not have been possible without the collaborative work of a multidisciplinary group of graphic designers, architects, cartographers, musicians, translators, and editors to whom we express our gratitude. Authors of the virtual exhibition, with the Eastern Mountains of Bogotá in the background. 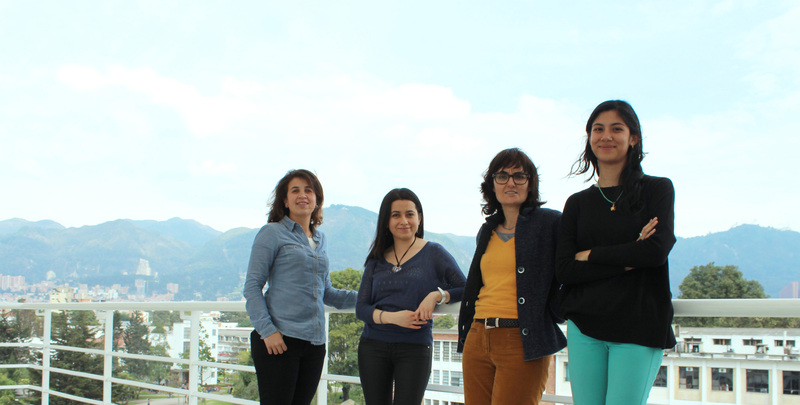 From the left: Stephanie Garcés, Laura Felacio, Stefania Gallini, Angelica Agredo. All rights reserved. 2014. Courtesy of Andrés Felipe Nieto Quintero.